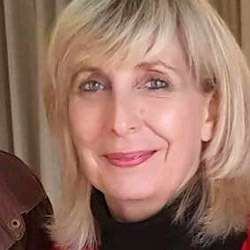 Janet van Eeden is the Head of Post Graduate Studies at AFDA Durban’s Film, Television and Performance School, which is one of the top schools of film on the African Continent. She is also a screenwriter with over 20 years of experience, with 20 plus feature film scripts under her belt, and many stage plays written and produced over the years. A feature film she wrote, White Lion, premiered internationally in 2010. A short film she wrote and produced in 2013, A Shot at the Big Time, the short, premiered at the Durban International Film Festival in 2013. It was also screened at the Legacies of Apartheid War Conference at Rhodes University that year. In 2014, Shot the short was selected for the Cannes Short Film Metrage, and was screened to a selected audience. A Shot at the Big Time, the feature, has been in development with funding from the KZN Film Commission and will be produced within the year. She graduated with a PhD in English, focusing on Screenwriting, through the University of KwaZulu-Natal, in 2017. The thesis was entitled Beyond the Biopic: An Exploration of the Art of Biography through the Medium of Film. Palgrave MacMillan is planning to publish a version of the thesis in the next few months as a screenwriting textbook entitled Writing for Substance and Subtext: From Misé en Scene to Misé en Abyme. Janet was chosen as the overall Chairperson of the prestigious annual Simon Sabela Awards in 2018 and is also on the board of script evaluators for the KwaZulu-Natal Film Commission. 2011: Vodacom Journalist of the Year Award. 2013: eThekwini Award for Shot the short. 2015: The Writers’ Guild of South Africa’s Muse Award for the stage play A Matter of Time. 2017: The stage play, The Space Between, was nominated for a Muse Award by the WGSA.